Auto-GCAs is now being tested. This is a good example of a technology that was introduced early onto the platform and will hopefully save lives. A technology that can help prevent pilots from colliding with the ground has begun its initial testing on the F-35 Joint Strike Fighter. The Air Force variant of the fifth-generation jet has begun flying with the Automatic Ground Collision Avoidance System, known as Auto-GCAS, in recent tests at Edwards Air Force Base, California, the Air Force said in a news release. The 461st Flight Test Squadron recently began test flights to see if Auto-GCAS remained compatible with the other computer systems on board the Lockheed Martin-made aircraft. "Auto-GCAS saves lives, it's been proven in the F-16 and the F-22," Lt. Col. Tucker Hamilton, F-35 Integrated Test Force director and 461st commander, said in the release. "We've been able to be an advocate to the warfighter, and the F-35 enterprise as a whole, to get them to accelerate implementation of F-35 Auto-GCAS by about seven years." Auto-GCAS was developed in the 1990s, but early versions had data issues. It was re-engineered between 2003 and 2010, and by 2016, it had been installed on more than 600 F-16 Fighting Falcon aircraft, "resulting in three confirmed reports that Auto-GCAS saved both the pilot and aircraft," according to the Air Force. The service at the time said Auto-GCAS would not only save lives, but also "upward of 14 aircraft, and more than $530 million over the projected remaining service life of the F-16 inventory alone." To date, the system has been credited with saving the lives of seven pilots in six different aircraft. Auto-GCAS uses various sensors that monitor how the aircraft is performing and whether the pilot is still in control of the aircraft. If a pilot loses consciousness, Auto GCAS kicks in. The sensors that feed into the system take into consideration the terrain below, the aircraft's trajectory and speed and the human inputs, or lack thereof, to calculate how to best recover the jet and bring it back down safely, or return it to a smooth trajectory, the release said. "This technology is the stepping stone to increased combat capability via a fully capable combat autopilot that will be able to execute tactical maneuvers to defeat inbound kinetic and non-kinetic threats and maximize lethality through precise weapon employment," added Lt. Col. Raven LeClair, a test pilot with the 461st, in a statement. In January, Vice Adm. Mat Winter, head of the F-35 Joint Program Office, said the Auto-GCAS system was coming roughly five years earlier than originally planned. "Expediting this lifesaving technology into the F-35 fleet by 2019 is estimated to prevent the loss of three aircraft, and more importantly, save the lives of three pilots," Winter said in a news release. "Over the service life of the F-35 fleet, having Auto-GCAS is estimated to prevent more than 26 ground collisions from happening." Pilots themselves have helped speed that process along, according to Lockheed officials. "The implementation of it is going faster than we thought [it would]," said Greg Ulmer, vice president for the Lockheed Martin F-35 aircraft production business. Ulmer said the expedited timeline is due to the fact that Lockheed began an "agile construct" where an operator -- such as a pilot -- is "embedded as part of the development team." "So we've seen some strong performance in that regard in Auto-GCAS in particular," Ulmer told Military.com in September. But it's not a foolproof solution for an in-flight emergency, Hamilton said. "The pilot cannot use Auto-GCAS as a crutch," he said. "It's very important they do everything in their power to execute the mission without relying on any safety net to protect them. They've got to execute not thinking it's there, they should execute with that mindset. And then if it saves them, it saves them." Hamilton stressed that it's better to be over-prepared in any case. "It is our responsibility to use the technology to be able to bring [pilots] home every day, that's something they deserve and it's something we have the capability to provide," Hamilton said. Some may remember that the Pentagon was required to deliver a report within ~100 days on Turkey and the F-35. That has now been delivered so will see what flows out of this with respect to Turkey continuing in the program. Turkey’s planned purchase of the Russian-made S-400 missile defense system has raised concerns in the West, since it could be used to give Moscow deep insight into the vulnerabilities of the most advanced U.S. warplane at a time of tension between the two powers, experts have said. Ellen Lord, the Pentagon’s chief arms buyer, told Reuters in an interview that Turkey’s plans to buy the S-400 system were “extremely problematical” and numerous U.S. officials had discussed the issue with Ankara, but there were no signs that Turkey had changed its mind about buying the Russian system. Lord said the report to Congress “just lays out the facts of where we are,” rather than offering firm recommendations, but she declined to provide details. “We need to work with Congress to decide where we go on that. There will be a strong partnership with Congress, and until we’ve discussed the issue with them...,” Lord told Reuters in an interview on the sidelines of a NATO industry conference in Berlin earlier this week. Turkey is due to receive its third and fourth jets in March next year. Its pilots are receiving training on the first two aircraft at Luke Air Force Base in Arizona. The earliest the first aircraft could leave the United States is next summer, although it may take longer than that. What I found interesting in the article and what was new to me is the reference to Adam Ciralsky's Vanity Fair piece where he argues that "1,400 separate subcontractors" have been "strategically dispersed among key congressional districts." These are the kind of political conflicts of interest that always seem to be among the causes of cost overruns in these large-scale military projects and the F-35 development/production doesn't seem to be immune to that either. I'm not sure why you think that is news, this has been known for the last 10+ years. It is the way US programs ensure that production lasts as long as it can. The same thing happened with the F-22, with Super Hornet, with the B737 etc. The F-35 has approx 350 suppliers worldwide which makes sense given the size of the program and the number of aircraft in production, the Super Hornet has 175, the Eurofighter has 144, the B737 has over 400 and the B787 460+. If your interested in the global supply network, have a read of the following https://www.slideshare.net/andycosterto ... lideshow=1 which is the Economic Development Council brief given by the then Program Executive Officer. Slide eight shows the various companies, and locations, that were identified in 2008 to work on the program. The UK continues to be indecisive on which variant they will go for in the future. The total number isn't in doubt but they plan to decide on whether to reduce the number of Bee and buy the A model. The UK is likely to decide on the final composition of its Lockheed Martin F-35 Lightning force at the next Strategic Defence and Security Review (SDSR) expected in 2020, a senior military official said on 14 November. It would be a shame to lower the number of Bee given the Carriers coming along but I wouldn't be surprised if perhaps the last 90 is split, perhaps 30-60 Bee to A. That provides enough airframes for the carriers and a true Tornado replacement strike aircraft for dedicated RAF operations. I wasn't aware for the past 10+ years that there is quality reporting on LM strategically choosing suppliers in order to gain political capital. It's normal to suspect this but I didn't know about the article to which the article that you posted linked to. I find it interesting because it can provide part of the explanation why the project has been kept alive all those years despite all its shortcoming and cost issues. See that is the difference. What you could have taken from my last post was that a national and global supply chain was needed to meet the manufacturing, cost and political constraints of the program. As for the shortcoming and cost issues, every program has them including every single military fighter aircraft developed for the last 30 years. The irony is that the F-35 has actually come out better than comparable programs, including Eurofighter and Rafale, as evidenced by the numbers I have posted here multiple times. There is another thread on here with a 'proposed' f35D, think that would actually be a pretty good option for the RAF who want a strike aircraft, it seems that the main issue against the B is the lack of range, having a version with the 'c' wing and no fold would give a great fuel capacity and range. But there is always trade off. After spending 8 billion building two aircraft carriers it would seem strange to limit the number of aircraft that could/will operate from them. Back in July, at the RAF100 event in Horse Guards Parade, along with the historic and some current RAF types, there was a full size F-35B mock up with a LM rep to answer questions. I posed the same question to the LM rep, about splitting the order, with later batches being perhaps a F-35A(UK), mods would of course include the F-35B's AAR system to name an obvious one. He reckoned that around 60-80 F-35B's would be sufficient for the carriers, allowing for training, attrition, maintenance etc and how much land based deployments the RAF did. The LM rep also pointed out the lower costs of buying and owning the F-35A. Out of interest, what are the training similarities between the different versions, how long would it take a pilot to convert between the different versions?! That is a good question that I don't have an answer to but would be very interested to know. As a first thought given how easy the aircraft is to fly, based on the feedback from just about every pilot who has converted onto the jet, I would say it wouldn't be very much. I’d imagine the vtol procedures/capabilities are pretty different/unique, even coming from Harriers. Carrier training would also, if I had to guess, quite different from conventional operations, and I’m not sure a common training program would make sense for any operators, unless a split British/Australian buy were to happen for their respective Air Forces. While landing the F-35B is unique to Harriers it has gone from difficult to very easy. Some comments on landing vertically and what is required. Performing a vertical landing on the B variant, which uses a lift fan and swivelling nozzle, is just as simple. “We have a lot of automation that makes life really easy in STOVL (short take-off/vertical landing),” Hattendorf said. So, what is the F-35B like to fly? Thanks to the pioneering work of UK's DERA (now DSTL/QinetiQ) VAAC Harrier testbeds and test pilots like Justin Paines and John Farley in developing advanced FBW software for VTOL aircraft – it is extremely simple. Whereas the Jedi-like skills are needed to control the Harrier in the hover requires movement of throttle, nozzle control and stick and has been likened to 'balancing on the top of a pencil while needing three hands', the F-35B’s fly-by-wire controls are just a sidestick and throttle HOTAS - with the flight computers doing all the hard work. (It is noteworthy that the UK is the only country after the US to have its own lines of code in in the F-35 software). To assist pilots coming into land, there are two velocity vectors - a traditional one, and a ship-shaped one - showing where the ship will be. The ship’s speed is also entered into the flight management computer via the touchscreen display. Approaching the ship from behind at around 170kt and 500ft, once at 200ft the pilot hits the 'brake' deceleration button and the aircraft begins slowing and transitioning to a hover, with the LiftFan engaging and the rear nozzle swivelling down for vertical flight. Once slowed down, the pilot can swing to the left side of the ship. The aircraft's flight computers now cleverly match the ship's speed, with the pilot pushing forward on the control sidestick (or inceptor) to go down. At 100ft and about a wingspan across from the deck, the pilot is thus ready to transition sideways over the deck, with fine hovering control being provided by the moving rear nozzle, LiftFan and the STOVL roll jets at the tips of the wings. At this point, with the flight controls engaged and the aircraft happily matching speed with the ship, the pilot can even take his (or her) hands off the controls - a move that would most likely be suicidal in the Harrier for the average squadron pilot. Hitting another thumb switch on the HOTAS throttle engages a translational controller mode, enabling the pilot to slide across in the hover and line up with the centreline. Once in position – it is a case of pushing forward on the sidestick to a software-controlled stop to descend and put the aircraft firmly on the deck. At this point, control of the engine thrust and vertical motion has passed to the right hand, rather than the left hand - which on the first occasion is slightly disconcerting to push full forward on what is normally a pitch control, some 50ft above a deck. Those raised on Call of Duty Xbox controllers will have no problems. Feet on the brakes and the aircraft lands itself. Effectively with these flight controls you are flying an aeroplane that cannot stall and where intuitive pull back/go up and push forward/go down still work - even when hovering. Says BAE: "The control philosophy is such that the left-hand commands go-faster / go-slower whilst the right-hand commands the aircraft to go-up / go-down and go-left / go-right. Each hand commands a response in the same axis in both wing-borne and jet-borne flight." It is not quite the 'take me home and land the aircraft automatically coffee bar button' that legendary Harrier test pilot John Farley often joked about as something that a future VTOL fighter would need, but it is close. Above is the standard VL procedure. The UK are obviously testing the SRVL and have already landed the aircraft using that technique on the QE. Other than VL and SRVL the jet essentially feels and performs very very similar to the other variants. By my reading of the above the ability to vertically land the jet is a simple procedure that should be very easy to learn with the benefit that the simulator has an exceptionally accurate representation of the action. I’d be surprised if we don’t see many more air forces adopting b models. Airfields like 4 th gen AC won’t last long in contested environments. That F-35D proposal was for a faster supercruising version of the F-35 with equal range. Mainly to fill the air dominance role and the Japanese requirement for a hybrid aircraft with performance getting closer to the F-22. A long range strike version lets call it the the F-35E would be a more simple version to make. Take the F-35C and simply fit a wing with equal area but without the folding mechanism. You wouldn't even need fuselage stretch the wing could simply be made thicker to increase fuel capacity and hit any range requirement required. Transonic drag would take a big hit the thicker the wing got. 1000nm range would be conservative estimate while still maintaining a supersonic dash capability. The F-35C landing gear is extremely strong to handle carrier landings so for a land based version it should be able to handle 40,000kg takeoff weights. Empty weight might rise to 17T but fuel capacity couls increase by as much as 50%. An impressive image below and hopefully gives an idea of how quickly production is now ramping up and aircraft are being pushed to units. According to the Hill Air Force Base FB page this is happening now: F-35A pilots from the 388th and 419th Fighter Wing prepare for takeoff as part of a combat power exercise happening now the airbase in Utah. We can count as many as 35 F-35 Lightning II aircraft taxiing as part of what is usually dubbed an “Elephant Walk”. During Elephant Walk exercises military aircraft (usually fully armed – but in the case of the F-35, the aircraft might carry some air-to-air missiles and bombs inside the weapons bays) taxi in close formation or in sequence right before a minimum interval takeoff and, depending on the purpose of the training event they then either take off or taxi back to the apron. The exercise aims to confirm their ability to quickly employ a large force of jets against air and ground targets, and demonstrate the readiness and lethality of the F-35 Lightning II. As the first combat-ready F-35 units in the Air Force, the 388th and 419th FWs are ready to deploy anywhere in the world at a moment’s notice. The 388th Fighter Wing and its Reserve associate 419th Fighter Wing, are the F-35 units that met or surpassed the list of criteria to be considered “combat ready” with the Lightning II back in 2016. The first squadron declared to be operational (i.e. achieved the IOC) was the 34th Fighter Squadron that was required to have at least 12 airframes ready for deployment operating as a basic close air support and air interdiction and limited SEAD (Suppression of Enemy Air Defenses) platform. Along with other personnel, maintenance and support requirements the Air Force squadron was also expected to ensure that enough pilots are combat ready, and pass proper examination: as of Jul. 27, 2016, when IOC was declared, 21 pilots and 12 F-35A airframes could be deployed in theater. Based on the photographs, the combined 388th and 419th FW have now more than 30 stealth aircraft ready for combat operations. Wow, that is 4+ Billion dollars sitting in that picture. Seriously, that is an aspect I hadn't considered and the jets sitting there essentially represent the future fast jet Air Forces of either Belgium or the Netherlands. I think that is pretty imposing given the capability present. Some info on the digital process of the F-35 manufacturing and supply chain. Because the F-35 has been built from the outset on a digital thread production approach and foundation, the program can incorporate, and contribute to a broader set of industrial transformations, known as Industry 4.0. In other words, the F-35 can produce an innovative combat aircraft but it is part of a much broader industrial transformation process designed to be able to leverage that transformation process. The F-35 approach enables Industry 4.0 in the defense domain but also draws from a much broader industrial transformation process as well. Prof. Dr.-Ing. Thomas Bauernhansl, director of Fraunhofer Institute for Manufacturing Engineering and Automation IPA, provides a perspective on the advance of digitalization and the changing face of production in the context of Industry 4.0. There are many different interpretations of Industrie 4.0. Professor Bauernhansl, what’s your view? Industrie 4.0 is about complete digital connectivity: between the means of production; their virtual representations, or digital twins; and the employees involved in that process. This facilitates revolutionary developments in production operations by allowing highly qualified, flexible workers to collaborate with intelligent cyber-physical systems in smart processes. The digital thread production approach of the F-35 program is congruent with the trend lines associated with Industry 4.0. During my most recent discussion with Don Kinard, Senior Fellow for Lockheed Martin’s F-35 Production, he underscored how important developments in Industry 4.0 were for the evolution of F-35 production processes. This discussion took place in October 2018. In effect, the F-35 as a military aircraft has a very different approach to what the supply chain actually means compared to a legacy production military combat aircraft. It is not just about what the production of the aircraft; it is about the evolution of the aircraft and its sustainment in a dynamic feedback process. It is a software upgradeable aircraft produced and maintained through a digital process. “We are shifting significantly from manual collection of data to automated data which allows us to see the entire production process. “And that allows us not simply to capture and automate descriptive data but apply analytics to derive predictive and prescriptive information as well. “We increasingly will be able to see into the field supply chain requirements and combine this with the demand side from operations. “The supply chain with regard to a production process is largely stable but the demand side from the field is not so predictable and as we can get greater understanding of both demand sides and combine them, we can get better understanding and control of the broader supply chain process. “And this ability will go up as we marry the enterprise systems, including ALIS (the sustainment digital system) with our ERP, our PLM, and our MES systems to create the future vision for the Intelligent Enterprise. “Industry 4.0 for us is about automating all of the data in the factory as well as enterprise data such as cost, quality, and schedule performance. “And it is about automated data as I said not just for descriptive data but prescriptive data as well. These models also supported the supportable low observable structures processes…involving the machining of the IML/OML and cured laminate compensation. KC selections should be made with the understanding that their selection will drive costs into the production system. They will have this effect by requiring the development and imposition of KC management plans, the formal collection of data by fabricators and assemblers, and reporting and analysis of deliverables. KCs should only be selected under certain conditions. Plans must first be in place to alter the engineering or manufacturing build-to-packages (BTP) designs. Continuing work is being done to capture the actual fastener grip during automated drilling operations. This information will be used to eliminate grip validation time and support fastener projection. In addition, it will be used to kit, clean, and promote fasteners and deliver these to the point of use. This is also a great example of how IoT, the Internet of things can connect the equipment on the floor with the internet for cost savings and efficiency. In that paper, Kinard went on to add insights with regard to Industry 4.0 and the way ahead for the F-35 program. Industry is recognizing that the data in IT systems can provide tactical insight to drive efficiency in operations. It can also lower support costs for data collection, analysis, and performance visibility and transparency. The connected enterprise depicted in the figure below is the key to enterprise efficiency. It improves the integration of systems data, facilitates automated data collection and dashboard metrics, and supports descriptive, predictive, and prescriptive analytics. It also connects factory equipment with the IT systems, driving efficient usage and secure data transfer. Data security is one of the enabling technologies for the connected enterprise. This revolution is in its early stages but will rapidly drive industry to become more efficient in above-the-factory-floor functions. Further, it will provide needed insight for continued productivity gains on the factory floor and in the supply base. Lockheed Martin has already deployed a phone/computer application for aircraft on the production floor. It provides information about locations, schedule performance, part shortage, non-conformances, and other factors for every aircraft and component in work. This pertains to not only those in the Fort Worth factory but also the aircraft and components in Italy and Japan. The application is being combined with a factory-wide part kit and tool radio frequency identification system (RFID). Ultimately, it will be able to automate updates of each aircraft on monitors located at each tool position with status and performance data. Put in other words, a key way to understand the supply chain or the manufacturing support base is to see it from several optics. The first optic is to see it from a more traditional supply chain perspective. Who are the major suppliers to the core sections of the aircraft assembled in Texas, Japan and Italy? The second optic is to see it from a sustainability perspective whereby the performance of the parts in the field drive performance evaluations of the parts being supplied worldwide. Performance can drive decisions with regard to global suppliers and lead to decisions to add global providers or shift from one provider to another. The third optic is to look at the underlying man-machine providers for building the aircraft. Here there is a broad participation of global producers for machines, tools and technologies, which can be folded into the production process. Also, because of the digital nature of the production and sustainment process, commercial companies, which produce digital tools and capabilities, can be ported into the production and sustainment process as well. At each level there are a variety of providers of parts, tools and capabilities to the production and sustainment process, much broader than if one simply stays at the level of the first optic. For example, Fraunhofer which is a key player in Industry 4.0, is a part of the supply chain for the F-35 in terms of the third optic. It is a whole new world for military aircraft production and sustainment. But the new world is a challenge to the acquisition, modernization and sustainment bureaucracies. While they remain largely stove piped; the F-35 is not. RAF Lakenheath prepares for the arrival of the F-35. The Defence Infrastructure Organisation (DIO) has awarded a contract worth $205 million (£160 million) to Kier VolkerFitzpatrick to deliver infrastructure to ready Royal Air Force (RAF) Lakenheath for two squadrons of U.S. F-35 fighter jets. Co-locating U.S. and UK F-35 capability in the UK will help strengthen the historic military ties between the two nations as well, as the partnership between the RAF and US Air Forces. The flight simulator will have the capacity to link to other simulators used by UK pilots across the UK and beyond, allowing expertise to be shared and pilots from the UK and US to train together on a regular basis. A ceremony, attended by representatives from DIO, US Air Forces in Europe and Air Forces Africa (USAFE- AFAFRICA), Air Force Civil Engineer Center (AFCEC), Kier VolkerFitzpatrick and Forest Heath District Council, was held at the base to celebrate the award of the contract. Probably quite unusual to land the aircraft approaching the carrier from the front instead of the rear but good to see the UK are testing these types of issues. Looks like there weren't any problems with it other than somewhat disconcerting for the pilot. A PILOT has carried out a 'bizarre' landing backwards on HMS Queen Elizabeth. The Portsmouth-based £3bn aircraft carrier tested the manoeuvre as it approaches the end of nine weeks of jet trials. RAF test pilot Squadron Leader Andy Edgell carried out the landing, which saw him fly the F-35 Lightning facing the stern of the boat, bring it to a hover and then bringing it down, slip across the flight deck and then bring it down on the carrier. Squadron Leader Edgell said: 'It was briefly bizarre to bear down on the ship and see the waves parting on the bow as you fly an approach aft facing. Once on the landing spot the rest of the manoeuvre is almost identical to a routine landing, the navy said. Squadron Leader Edgell said 'the aircraft handled beautifully'. The obvious question has to be did the US do similar tests and if not, why not? Not sure whether they have done it or not, I haven’t seen it reported but that certainly doesn’t mean they didn’t try it. Saying that I wonder if anyone ever tried this with a Harrier? Probably not given the far more difficult landing technique required and the Harrier didn’t have the ability to automatically match their speed to the boat. Some more F-35 training info about the use of VR courseware. "Leveraging over a decade’s experience developing F-35 courseware, for the international JSF community, KBRwyle has created virtual reality demonstrators for the platform. These include a ‘familiarisation’ component, that could be used for those working ‘around’ the F-35. It helps to understand scale, size and the features of the aircraft," Michael Hardy, general manager – modelling, simulation and training at KBRwyle, explained. "A ‘virtual part-task trainer’ has also been developed to demonstrate how VR can be used to create a highly immersive training environment and experience. This is a fifth-generation training capability for a fifth-generation platform." Aircraft safety: Focuses on improving aircraft safety, enabling the user to move around the aircraft and interact with the various areas on the aircraft. The VR system also enables the user to familiarise themselves with the danger zones associated with the F-35 platform and obtain additional system information within the VR environment. Standard - aircraft operation: Enables the user to work around the aircraft and directly interact with aircraft systems. Crew not proficient in system operation are stepped through the process and instructed through all the warnings, safety precautions and procedures required. For crew who are are proficient, the system access short cuts are provided through the interactive VR environment. Advanced - aircraft examination: Users can examine the aircraft, its individual systems, system operation and components using different menu functions and interactions within the VR environment. This is accomplished by modifying the VR environment. This allows detailed examination of the aircraft and its individual systems using rotation, slice, exploded views, cross sections and ghosting tools. "The VR demonstrator, like the courseware, was developed in Australia by the Australian team at KBRwyle’s Canberra facility. This is also the Augmented and Virtual Reality Centre of Excellence for KBR, globally, across multiple sectors including defence, infrastructure and resources," Hardy said. F-35 original equipment manufacturer (OEM) Lockheed Martin has also seen other aspects of KBRwyle's training capability through the development of the F-35 Maintainer Virtual Reality Demonstrator, which has been demonstrated to Lockheed Martin Rotary and Mission Systems in Orlando, Lockheed Martin Aerospace in Fort Worth and Lockheed Martin Australia in Canberra. KBRwyle developed the VR prototype to support higher capacity training of F-35 support crew. The prototype was developed in less than a month using the company's Canberra-based technical team, demonstrating the depth of expertise in its Australian capability. Hardy went further, saying, "The Australian KBRwyle team also runs the global Community of Practice for those VR technologies, drawing in experiences from across the world." The global nature of the F-35 program has enabled KBR's training capability to help transform Australian industry through the global collaboration used to support the training program developed by KBRwyle. The company has been committed to the F-35 program since joining in 2005, and sent its staff to the US to attend the program’s familiarisation course in 2008 and again in 2015. The development of LHD training and the ongoing delivery. "KBRwyle creates virtual training systems for clients. Increasingly, those solutions include augmented and virtual realities. There is potential for the F-35 VR Demonstrator to become part of the Joint Program Office’s range of fifth-generation training products," said Hardy. I believe some of the processors used on the jet are coming to end of life hence the contract award. Training systems for all F-35s except Israel and integrated internally to avoid compromising the stealth characteristics. Cubic has awarded the first contract related to equipping a second batch of 500 Lockheed Martin F-35 Lightning II Joint Strike Fighter (JSF) aircraft with its P5 Combat Training System (P5CTS). While current fourth-generation aircraft carry an external pod, the airborne sub-system for the F-35 is internalised and integral to the aircraft to maintain the platform's stealth characteristics (all F-35 customers except Israel, which has its own system, will use this). For interest, does anyone know what System Israel uses when they train at Red Flag and other joint activities? A couple of tweets and images covering the QE trials. We have just dispatched the last #F35 for 2018. 15 SRVLs including the Worlds first 75 hours in the air & 54 Training Weapons dropped A monumental year for Carrier Strike supported by our closest ally. "Jane’s was told that flight testing achieved all of the DT-1/DT-2 threshold requirements, and a significant portion of the threshold and objective requirements originally planned for next year’s DT3 phase. " Also an image of the F-35B landing against the ships direction of motion. I also like this shot more for the Zumwalt Class than the QE. Interesting; F-35 USAF Demo team. The GBU-49 made its way onto the platform due to the need for a A2G moving target capability. During the weapon’s exercise, Combat Hammer, teams assessed the readiness of Hill’s weapons crews, maintainers, and pilots as they built, loaded and employed the F-35As weapons. “Combat Hammer validates our tactics, techniques and procedures and builds the confidence in our Airmen that we are ready for our wartime mission,” Johnston said. The value of a large user community as seen with the F-16, F-4 and even the F-15/18 is the opportunity to get together like this and share operational and training lessons. 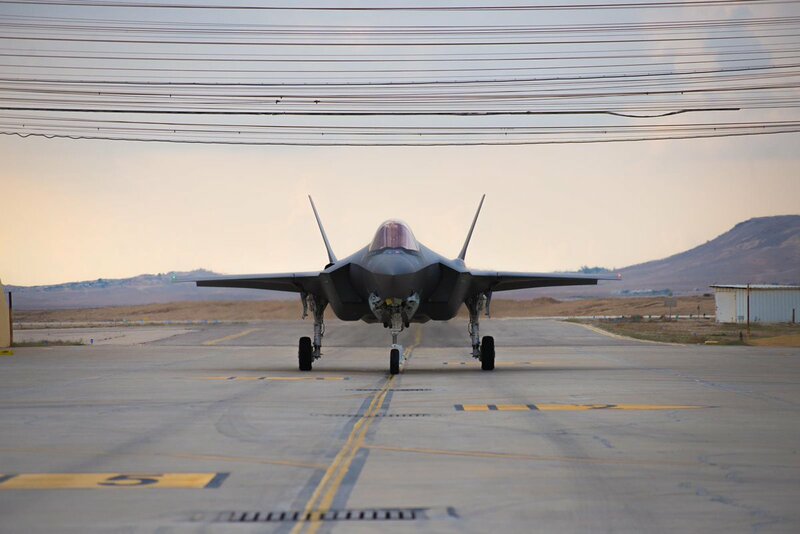 For the first time in Israel: last week (Thursday), the annual F-35 user group came to an end after two intense days of mutual studying and discourse. Dozens of participants arrived from the United States, the United Kingdom, Italy, Norway, Denmark and the Netherlands in order to share ideas regarding the world's most advanced fifth-generation aircraft. "We are very happy to host the third international user group led by the USAFE (United States Air Force Europe) – being a part of this community is a great honor. The F-35 isn't just an aircraft, it's an entirely new operational concept", emphasized Brig. Gen. Tomer Bar, Head of the IAF Headquarters. "The reason we hold this yearly conference isn't just in order to learn about the aircraft, but also in order to see the differences in operation between the various air forces, share ideas and see how the F-35 can serve any need". The conference commenced with a day focusing on discourse. They discussed the status of the F-35 in each of the respective countries as well as its technical issues and possible solutions. "At the beginning of this year, our leadership decided that we need to have a division in charge of collaboration with countries which have the F-35 aircraft", elaborated Col. Howke, a representative of the USAF Europe HQ. "The aircraft provides significant advantages, whether through its low-observable nature or its high avionic capabilities. It's a dynamic aircraft, and discussing it as a forum is beneficial for all involved". 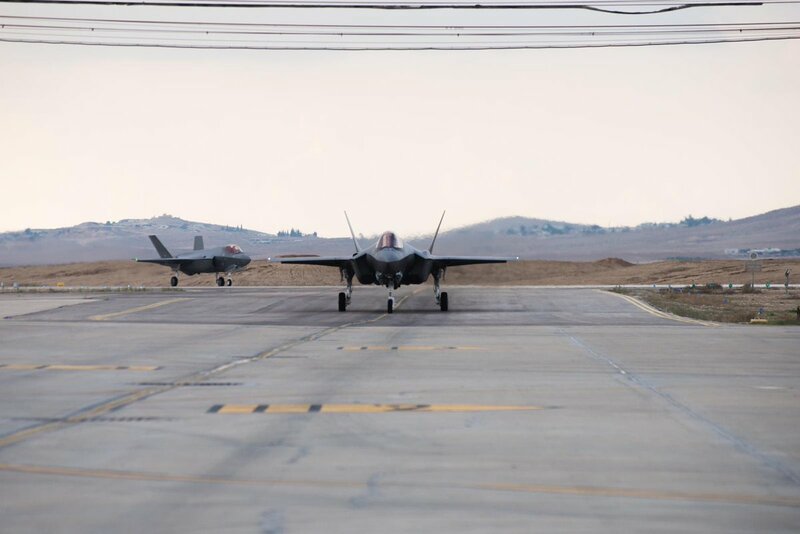 The following day, the user group arrived at Nevatim AFB – home to the 140th ("Golden Eagle") Squadron which has operated the "Adir" (F-35I) aircraft since its arrival in Israel two years ago. "The IAF has 12 'Adir' aircraft, dozens of pilots, 60 technicians and four simulators. The air force faces numerous operational topics, and our goal is to qualify the pilots and provide them with the operational capabilities which will allow them to handle the challenges of the Middle East", said Brig. Gen. Eyal Grinboim, Commander of Nevatim AFB. After learning about the IAF, the 140th Squadron and the "Adir" Division, the participants moved onto the "Adir" pilot instruction center, where they experienced simulators and the IAF's growing instruction division. A main point of discussion was the future training of fifth-generation pilots. In most of the countries which operate the F-35, the pilots arrive at their squadron right after concluding their training at the academy. In contrast, the IAF's "Adir" pilots are mostly ranked Captain and Major, having been trained in the Flight Academy and gained operational experience in fourth-generation aircraft – only after several years did they undergo conversion to the new aircraft. "Training an 'Adir' pilot takes between four and six months. We take fourth-generation pilots and teach them the new systems, missions and capabilities", elaborated Maj. G', commander of the instruction center. "Our hopes for the future are that fifth-generation pilots will come straight from the Flight Academy, but the gap between the Flight Academy and the 'Adir' aircraft is still big". The conference may have ended, but the participants left wanting more. As more countries are due to join the work group over the coming years and the IAF continues to grow, it is certain that the fourth work group is just around the corner. "Most of our discourse is pilot-to-pilot. The more tricks I have in my tool bag, as well as experiences - whether my own or someone else's - these will help me analyze the situation and make choices that I haven’t thought of before", concluded Col. Howke. "We realize that this aircraft is capable of more than any other aircraft before – it's truly a game changer. The capabilities are unprecedented. It starts from the intel, goes through command & control and the mission command, and to the execution of any type of attack you might have to go. “This is where the conference's importance lies – it allows fifth-generation pilots to take off on the mission with a better understanding of their situation". Some additional containers designed and developed in Australia to support deployed F-35 operations. Minister for Defence Christopher Pyne said the Commonwealth’s formal acceptance of the deployable facilities was an important milestone for the full operation of RAAF’s F-35A aircraft. “The deployable cabins are a critical part of operating and maintaining the Air Force’s new fighter aircraft, whenever they are deployed away from their future homes at RAAF Bases Williamtown and Tindal,” Minister Pyne said. Some interesting commentary from a Canadian Radio Station on Norway's use of the F-35 and how this could apply to Canada. As the federal government embarks on a much delayed and criticized quest to find a replacement for its ageing fleet of CF-18 Hornet fighter jets, Norway’s saga with the acquisition of F-35 stealth fighters offers Canada a valuable lesson. This timeline would also apply to Canada. Or, perhaps, they could cooperate as NATO partners and help each other to shorten that period (if the F-35 is bought)? Also, there should be a decent supply of second-hand F-18s in the upcoming years, if needed. Pushing out the F-18 retirement date shouldn't be an issue. The US will have two squadrons of F-35s operating from Eielson in Alaska by the time Canada could acquire the F-35 so there will certainly be an established community to assist Canada, should they go that way. Also there should be a decent supply of second-hand F-18s in the upcoming years, if needed. Pushing out the F-18 retirement date shouldn't be an issue. The RN continues to work with the F-35B in multiple theatres. The Royal Navy’s Type 45 Daring-class destroyer HMS Dragon has become the first warship in the UK to conduct operations with F-35 Lightning II fighter jets in the Middle East. The destroyer is working for the US Commander Task Force (CTF) 51/5 to provide air defence to the US Navy’s Wasp-class amphibious assault ship USS Essex. This joint project enabled the crew members of the Type 45-class vessel to gain knowledge and understanding of the tactics, techniques and procedures to work with the F-35 fighters. The knowledge will be used by the crew in support of the UK’s future carrier strike group operations. HMS Dragon commanding officer commander Michael Carter-Quinn said: “Having trained as a fighter controller, and controlled harrier jump jets while serving on board HMS Invincible, it has been a great honour to command HMS Dragon to provide air defence duties to our US Navy colleagues. The CTF 51/5 has been serving as a part of the UK and Royal Navy’s commitment to supporting operations in the Middle East, in addition to ensuring the safety and security of the Gulf and the wider Middle East region. Launched on 7 November 2008, HMS Dragon is the fourth of the six Type 45-class air defence destroyers built for the Royal Navy. It appears that Japan is planning to acquire F-35Bs to be stationed on its future amphibious assault ships. (The Japanese government) also strengthened its policy of introducing F35B state-of-the-art stealth fighter aircraft and multi-purpose operational mother ship. It is clearly stated in a new "Defense Plan Outline" to be formulated at the end of the year. Several government officials revealed on the 25th. The rest of the article is behind a pay-wall, unfortunately. Thanks for posting. It certainly continues their intent to operate a fixed wing aircraft off of a ship at some point in the future. Apparently the Izumo class were designed with features compatible with the F-35B including the lift aft lift being large and heavy enough to accommodate the aircraft. The deck is also long enough to allow a standard USMC take off although I would expect modifications to the ships to operate the F-35B would include a ski jump, reducing take off deck length requirements. 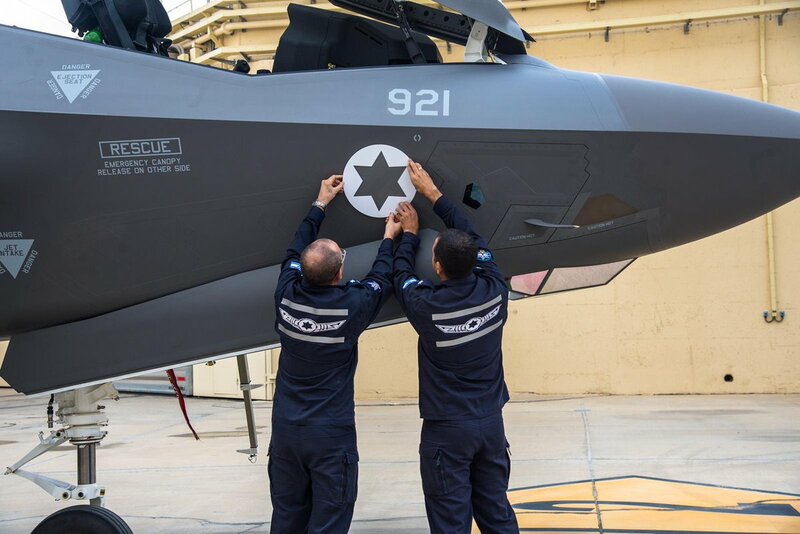 Israel receives two more F-35As. I know we keep re-hashing this, but I'll keep this one simple. I assume the hypothetical F-35E model ditches supercruise, as it's already unrealistic and we're talking about the larger/slower -C wing, AND making it thicker. I've heard many reports that the -C wing nearly offsets the extra fuel in some mission profiles by the increased drag (primary purpose = lower-speed carrier approach / launch performance) so that might not be the best starting point. IMHO step 1 is to optimize the wing for performance and drag, step 2 is usually to stuff fuel wherever possible. If you're ALSO looking at matching or increasing internal weapons stores, you (once again) are looking at a larger aircraft (hence my broken-record posts) . At the end of the day, I think LM squeezed most of what they could out of a given-sized aircraft, especially across three variants. The notion of these dramatically increased capabilities in the same exact airframe seems ridiculous to me. Starting with an already sub-optimal -C wing and making it thicker for range? No way. Your only realistic range increase will come from the AETP engine which is basically plug-and-play. Anything else requires a larger aircraft or a major hit in aero performance (thus range/efficiency). Burning more fuel just so you can carry more fuel isn't exactly ideal. Now - if you could continue the shape progression of the C wing and make it almost a delta, and/or convert the conventional tail to something like a V-tail (ie YF-23) for a dramatic reduction in drag, NOW we're talking. Bigger (delta) wing, ie more fuel AND speed, half the tail drag (speed, range, efficiency) and AETP engine? Now you have the same "size" plane with true interceptor performance; range and speed. Perf hits would be maneuverability, but this is either a) meaningless as it's an interceptor, or b) offset by a 3D-vectoring version of the AETP F-135. I'm off in fantasy land now, but at least those numbers actually compute for me. Looking at nearly a new aircraft now, but perhaps the Japanese could fund the thing? It's almost what they're asking for - and either way they were looking at development costs for something "new" basically. You'd still retain some comonality which is very desirable for both LM, Japan (flying F-35s already) and potential exports to other current F-35 operators. Of course that appeal applies to any variant we're discussing here. RAF F-35s already beginning to participate in exercises and good to see the RAF is still on track to IOC before Dec 31st this year. Two of the RAF’s F-35B Lightning II stealth fighter jets will take part in an exercise over the North Sea alongside aircraft from the US and French air forces, forming part of an “insurance policy” against global threats. The supersonic aircraft, based at RAF Marham in Norfolk, will be among more than 40 planes participating in the Point Blank training exercise off the east coast of England on Tuesday. Aircraft from the three air forces, including the French Rafale fighter and US F-15, will work as a team against “threats” in the training environment. It is the first time the French air force has been involved in Point Blank, which is led by the US Air Force’s 48th Fighter Wing, based at RAF Lakenheath, Suffolk. Aircraft will take off from bases around the country, and the number involved has almost doubled this year. Air Commodore Jez Attridge, of the RAF, described the air force as an “insurance policy”. “We always consider what the environment is,” he said. He added: “It really is a case of us staying ready so that we can be used if we need to. He described the inclusion of the two F-35s as a “huge milestone” which “really shows the progression that Lightning Force is making”. The first four F-35s touched down at RAF Marham in June, and five more arrived in August. Wing Commander John Butcher, the officer commanding 617 squadron, said: “This particular exercise is different than any ones that we’ve done previously because of the threats that are out there. He said “things are progressing well” towards declaring initial operating capability for the F-35s before December 31. A comparison between the F-16 and the F-35 from a data fusion perspective and some info on what was discussed at the recent International Fighter Conference held in Israel. At the International Fighter Conference 2018, one of the key themes was the standup of the F-35 in several air combat forces, and the impact of this effort on the way ahead for air combat forces. One of the presenters at the conference was an experienced F-16 pilot who had transitioned to the F-35 in 2010 and has spent several years as a USAF test pilot at Edwards Air Force base and more recently has joined Lockheed Martin in 2016 in a test pilot capacity at Edwards AFB. I had a chance to sit down and talk with Scott “Shark” McLaren about his experience with sensor fusion on the F-35 and his perception of the combat advantages which this provides the F-35 pilot. I've heard many reports that the -C wing nearly offsets the extra fuel in some mission profiles by the increased drag (primary purpose = lower-speed carrier approach / launch performance) so that might not be the best starting point. The F-35E wouldn't supercruise, but neither could the F-15E with a combat load and CFT's. I maybe shouldn't have mentioned a thicker wing as this can get confusing. The F-35C wing fuel tanks stop at the folding mechanism. The F-35A wing tanks extend 90% of the way to the wing tip. Despite this the F-35C still carries more fuel due to the larger volume of the inner wing. By simply removing the wing folding mechanism of the F-35C and running the fuel tank to the tip would definitely increase range. This would give a solid range boost without any performance decrease over the C model. I'm sure we can agree that the extra fuel would not be offset by incressed drag in this case. This could be the most basic and highest commonality F-35E proposal for the USAF. With a 10-15% subsonic range increase over the A model. You are right about the F-35C offsets on some mission profiles. The F-35C has 5% greater subsonic range than the A model. If you include some supersonic bursts the gap narrows between the two. IMHO step 1 is to optimize the wing for performance and drag, step 2 is usually to stuff fuel wherever possible. If you're ALSO looking at matching or increasing internal weapons stores, you (once again) are looking at a larger aircraft (hence my broken-record posts) . Starting with an already sub-optimal -C wing and making it thicker for range? No way. The F-35C wing is actually the most optimal wing size if you want subsonic range or endurance. You want the greatest span to reduce lift to drag ratio. The F-35C wing has very large flaps that wouldn't be needed on a land based F-35E. Keeping the same external profile of the wing but reducing flap size would increase the volume of the wing fuel tanks even further. This could be the second more unique F-35E proposal with a 20-25% range increase over the A model with trailing edge that is unique to the E model. I'm fairly confident you could get a 25% subsonic range increase over the F-35A by simply fitting a big fully subsonic optimised F-35C sized wing. Supersonic range might actually be reduced compared to the F-35A but if we are looking at mission profiles of the F-117 or F-15E the vast majority of missions will be subsonic. This is a massive impending order for the F-35. I've always maintained that the F-35B had great export potential and this certainly justifies that belief. We have had multiple reports of Japan considering the F-35B but I never expected a quantity this size although they may order additional A and not all 100 aircraft as Bee models. This is also a great option for Japan considering the short runway and vertical landing capability of the jet which should allow them to be more survivable in the face of their fear of greater Chinese numbers. I'd expect a majority of these will be manufactured by the Japanese FACO but possibly supplemented with US manufactured jets to meet delivery timelines. Japan is preparing to order another 100 F-35 stealth fighter jets from the U.S. to replace some of its aging F-15s, according to sources. Came here for this - it really is incredible, though sadly also shuts the door on the "hybrid" IMHO - but hey, it's obviously a huge win for LM regardless. Like you, it's interesting to note just how popular the B variant is. I really expected it to be a very small fraction of total sales. It's really a nod to LM engineers that is has so few limitations over other variants for what it offers, that it becomes just tantalizingly tempting for buyers in spite of the (large!) cost difference. Ah okay, I figured you probably tossed out any major change in speed specs but wasn't sure. That is true about the space past the folding - considering the already immense loadout capacity of the wings, this "E" model could be an interesting plane. AETP means it would still most likely be faster than the other variants actually. If they put the F-35A gun on it and increase the ammunition capacity, it could be an improved CAS platform over the A as well (loiter time, probably slower speeds, payloads, etc). Rather amusing actually. Giovanni de Briganti has a good habit of not actually logically making sense and has done so again here. If sensor fusion is just the ability to combine tracks and display on one interface then every fusion system is essentially the same. Of course we know the F-35 fuses raw data and not federated processed data as done in 4th gen aircraft. Dogfighting in F-16s which has been proven false, including by F-16 pilots who clearly know how to fly both aircraft, so many times it is pointless pointing it out to him. How would characterize the role of the F-35 compared to the other elements in the evolving RAF air combat force? Group Captain Townsend: The F-35 is not a multi-role fighter. Multi-role, in current thinking, would be a sequential series of tasks. The F-35 is doing a number of missions simultaneously. The concept of mission simultaneity is really important. The airplane has the ability to do things without the pilot asking it to do it. Automatically conducting, particularly, ISR whilst it’s conducting an OCA mission or an attack mission in a very different way than platforms have done business in the past. This is something that other operators are working in the package alongside F-35 need to understand. That the F-35 operator won’t be going through sequential thought process. He will be thinking about the battle space in a broader sense, a much different way than a Typhoon operator would be thinking about the battle space. I think there is another step change and difference in the way in which the information is displayed to the pilot which is important and is extremely intuitive. I’ll give you an example. I commanded a Typhoon squadron for two years. Very early on this job with F-35, I was lucky enough to fly the F-35 simulator. and the different way in which F35 displays information compared to Typhoon is eye-catching. In fact, I asked for the simulator to be stopped because I was taken aback by the information being displayed to me. There was just so much data available at my fingertips, but displayed in a really different sense in Typhoon. So very, very quickly, I knew a great deal about the entity being targeted – sensor fusion at work. I think it’s a very different way of displaying information that any other fast jet has done before. Knowing what my wingman is seeing and my wingman knowing what I am seeing, and my ability to communicate what I want to have achieved by my formation, by my package, which all may be by the air wing that’s air-borne at the time. This airplane changes the game in a way which we can conduct that sort of business. I think someone needs to tell him that Link 16 is a transmission.